We award the best independent filmmakers after a comprehensive evaluation process. "Best Picture" winner get LAURELS and DISTRIBUTION OFFER! Video On-Demand (VOD) is becoming more accessible to the public and is opening doors to independent filmmakers worldwide. All films are being consumed by a paying audience and we believe that our platform can help our filmmakers take a slice of that pie. Allowing our filmmakers to get rightfully paid for the content they produce. Films must be submitted on DCP or Blu-Ray (please test before sending) or as an online screener and be available for screening as a digital file. If you are unable or unwilling to provide us your film as a digital file, DO NOT SUBMIT your film. By entering Festival you agree to all festival rules and terms. · Entries must be in English or – Subtitled, dubbed in English. 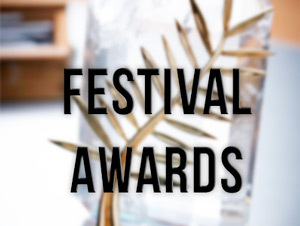 · Multiple entries are allowed for each filmmaker and each entry may be entered in multiple categories. Kyiv Film Festival® is hold on 25-26 May 2019 in Ukraine. The goal of Kyiv Film Festival is to encourage emerging movie makers for new film making by appreciating their work. We accept all genres of films from all over the world. Our mission is to support filmmakers, recognize their hard work, and Award them so that they are more inspired to keep telling amazing stories.